"For the consumer, Xbox Game Pass is fantastic. For retail, it just kills us outright"
Last week, Microsoft announced all new first-party releases would be included in the subscription-based Xbox Game Pass service from launch - including the upcoming Sea of Thieves, Crackdown 3 and State of Decay 2. It's a bold move that prompted plenty of discussion around the platform holder's long-term strategy, with our own Rob Fahey suggesting this may help Xbox catch up to Sony's market-dominating PlayStation 4 while Chris Dring posited that this could be a sign of Microsoft preparing for a post-console future. Another notable reaction was that of Austrian retailer Gameware, which declared it will no longer stock Xbox products as a result. 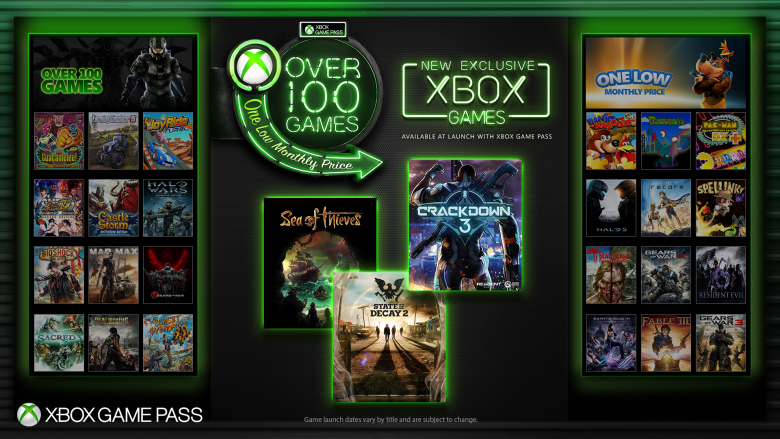 The argument is that if every Xbox sale essentially equips customers with access to a service as increasingly comprehensive as Game Pass, repeat business with those customers is minimal - why would they head to Gameware when they can subscribe and receive new Xbox releases automatically? "Essentially, it's made [our Xbox business] worthless overnight... Why should we support them if we're going to get very little out of it?" It's easy to dismiss this as an extreme reaction, but GamesIndustry.biz has been speaking to various UK independent retailers and many of these businesses are just as unhappy. "Essentially, it's made [our Xbox business] worthless overnight," Stuart Benson of Leicestershire store Extreme Gamez tells us. "You've got the whole section sat there, and why would people buy a £12 to £15 second-hand game when they can just pay a tenner and get a massive catalogue of titles to keep them going? Effectively overnight they've wiped massive value off our company and made it not worth doing. "Why should we support them and sell their consoles and accessories if we're going to get very little out of it? We don't make anything off their digital selection. It's pretty pointless. We might as well go where we're supported, which is Sony." Like Austria's Gameware, Extreme Gamez now no longer plans to stock Xbox products. Benson adds: "I've got no hardware left, no control pads - and I'm not going to do an order now. I would have restocked normally, but now there's no incentive for me to do so unless I get something dirt cheap. "It's very frustrating, but we can see they don't care about retail business in the slightest. We got a lovely little plaque last year saying we're official Microsoft stockists, and that's a lovely token gesture - but for what reason, because they don't support us?" It is a terrible service imo. Microsoft has hardly any exclusives and once you stop paying you will lose acess to all your games. This is only good for people who don't truly care about gaming and just treat is as a netflix or something where you just watch something once and you're good. Games are longer and are replayable. Not to mention this is on top of Xbox live.